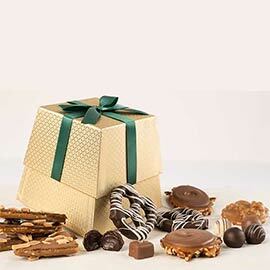 A Gift Box Full of Classic Treats! 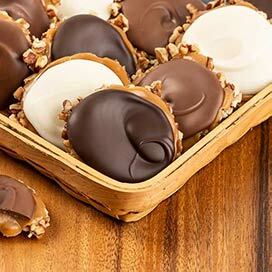 Like these candies, some puns are simply irresistible! 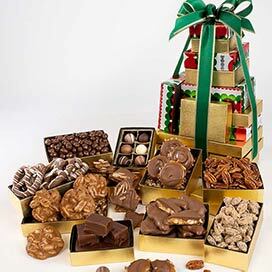 Fancy Gift Box Not Enough? 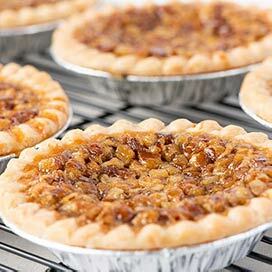 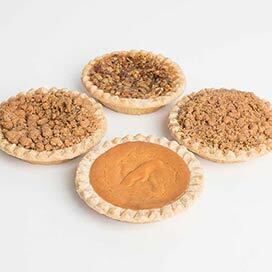 We've picked a peck of pecans! 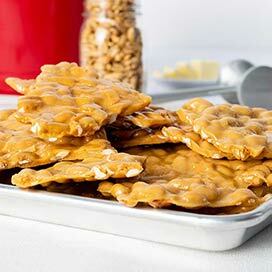 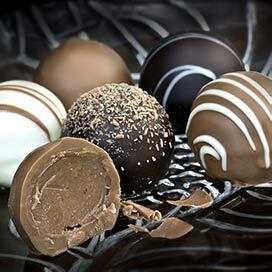 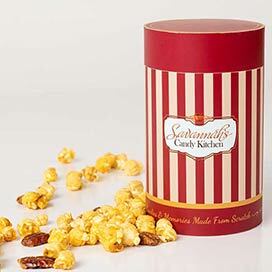 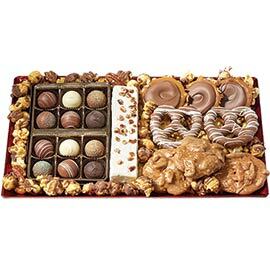 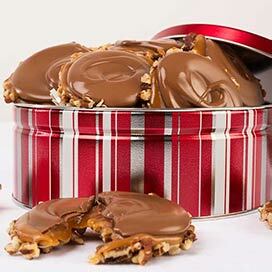 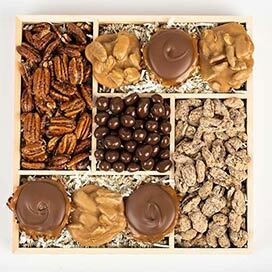 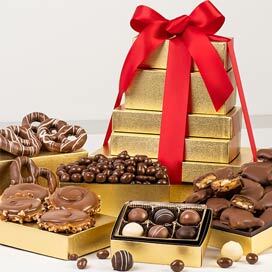 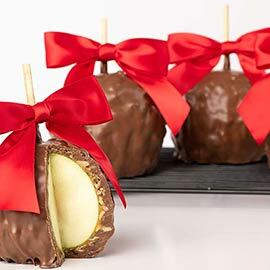 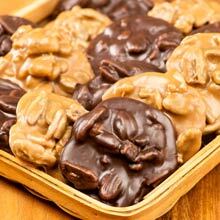 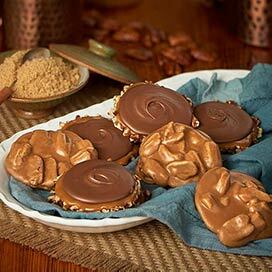 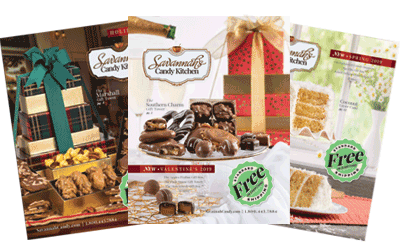 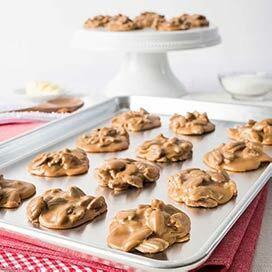 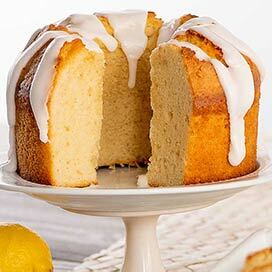 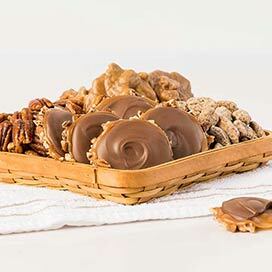 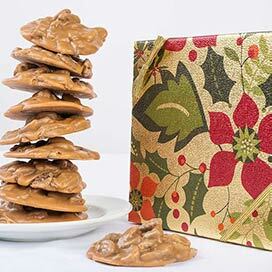 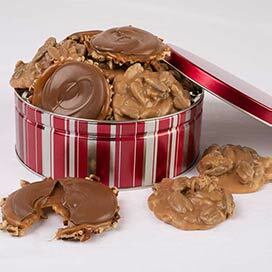 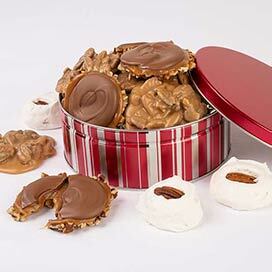 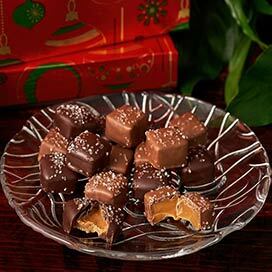 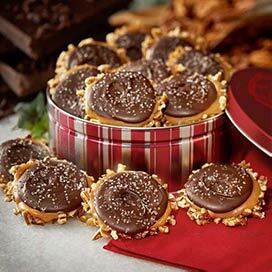 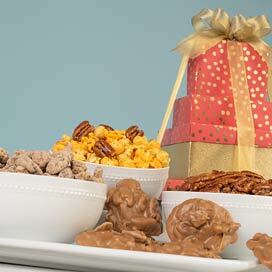 Everyone loves food gifts — and who can resist a delicious dessert or gourmet candy gift? 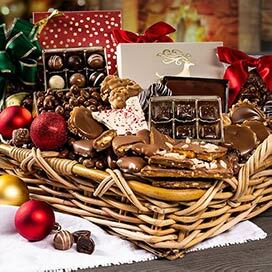 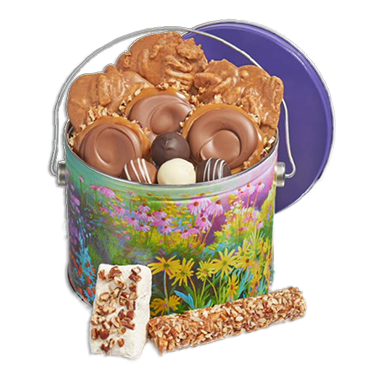 If you want to help someone celebrate a big milestone or special occasion, send one of our distinctive Gift Baskets, Gift Towers, or colorful Gift Tins. 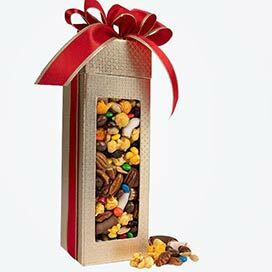 Whether for housewarming, anniversary, retirement or to recognize any big accomplishment, they are the perfect present.